In a nutshell, Hong Kong is a bustling city power-packed with adrenaline-charged people; from the blue-collar working class heroes to street vendors, and char chaan teng aunties with their sarcastic remarks should you be slow and indecisive when ordering your food, to tourists from every corner of the world. In this sea of chaotic frenzy, finding a place to eat should be a walk in the park. Every row of brightly-lit shops seems to house at least a couple of eateries; more often than not a few in a row. 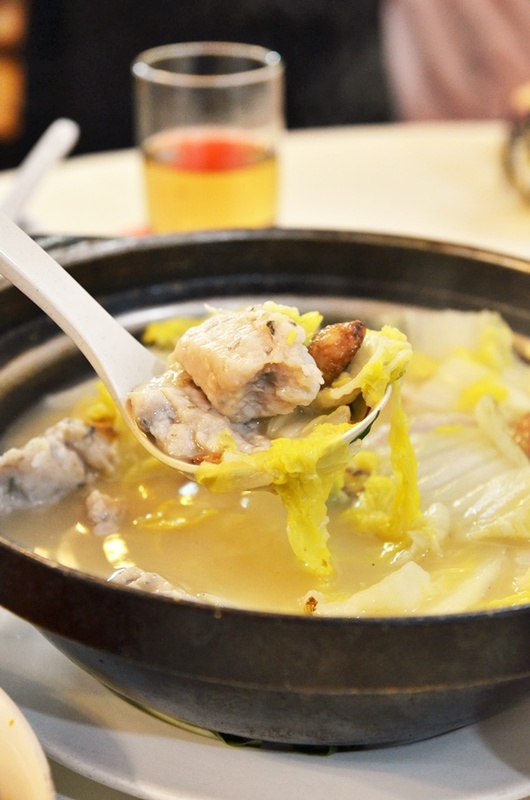 Cuisines ranging from local Cantonese food to international offerings like Thai, Western, Vietnamese and various regional delights from China can be found in every neighbourhood, more so in super-packed areas like Kowloon or Wanchai on Hong Kong island. But then again, with choices aplenty, making an informed decision can be daunting. Well, some people suggest walking randomly into Chinese eateries without an English menu and an obvious dominance of locals dining there instead of one that caters largely to tourists, but this takes more than sheer gut feeling as well. Certain food portals on the Internet might have rankings of favourite food joints in the neighbourhood, and these can be used as a reference to gauge the interest level of the locals and visitors to such area but the best advice/recommendation will always come from a local, or a fellow foodie who has stayed in Hong Kong for a while. I was lucky to be introduced to Your Restaurant (don’t raise your eyebrow, that is really its name), a Guangdong cuisine specialist situated in the heart of the city in Wanchai. Walking past the shop you might be tempted to dismiss this is another generic char chaan teng that also sells desserts (displayed in the chiller in front of the shop), but upon further observation you will be impressed by the sheer popularity of this unassuming, rundown and relatively unglamorous eatery. The outlet spans one shop lot, with seats also available on the second floor. But to reach the higher level, you have to walk pass their kitchen and up a steep flight of stairs. And catch a glimpse of the “naked” (well, almost) chefs in action. The hole in the wall atmosphere can be a jarring experience especially if you are not used to dining in places that put a lot more emphasis on the food rather than the ambience. 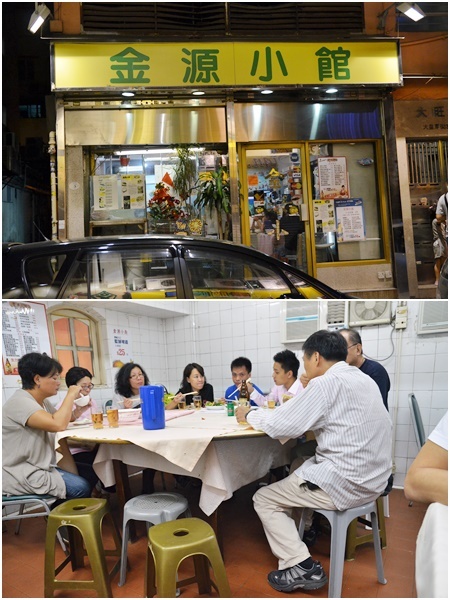 We were seated next to an old refrigerator on the upper floor, sharing a table that brought back memories of my primary school desk, and immediately served with free flow of hot Chinese tea from the jug. Ordering food in places like this means that you either need to put on a thick face and ask for recommendations from the ladies taking the orders, or point to whatever your neighbouring tables are devouring. And I can guarantee you that most, if not all, of the dishes look and smell superb. One quick warning though; the dishes come in standard portions so don’t go overboard and order more than one dish per person! Even then, two dishes can easily feed three diners actually, so be ready for the onslaught of grub. 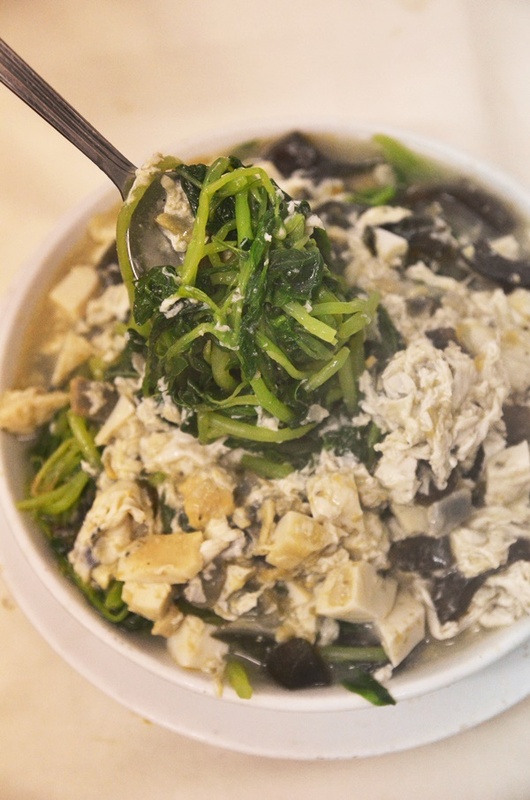 One dish that sets them apart from the other chu char restaurants is their Shandong chicken; cold, roasted chicken served shredded and atop a bed of mock meat (made of beancurd), and topped with heaps of fragrant garlic. The garnishing of julienned scallions and red chillies makes the dish even more appealing. 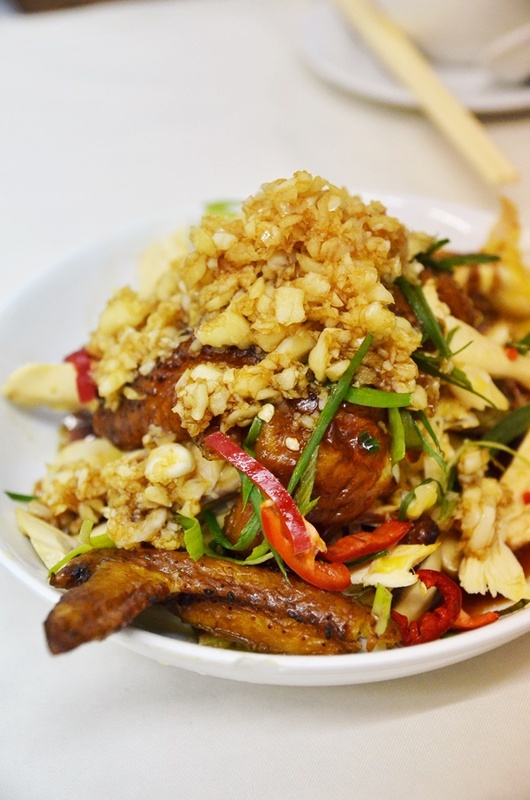 A few of their more popular pork dishes are sweet and sour pork, steamed pork patty with dried cuttlefish and chopped mushrooms, and a tangy dish of vinegar pork ribs. 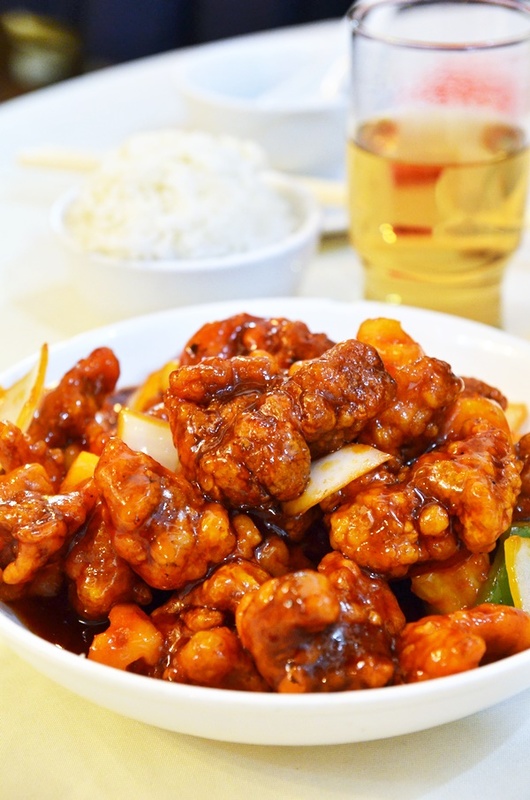 The gu lou yuk (sweet and sour pork) has enough chunks of meat for a family of four; coated in a delectably sticky, sweet and tangy sauce with cut pineapples thrown in for good measure. 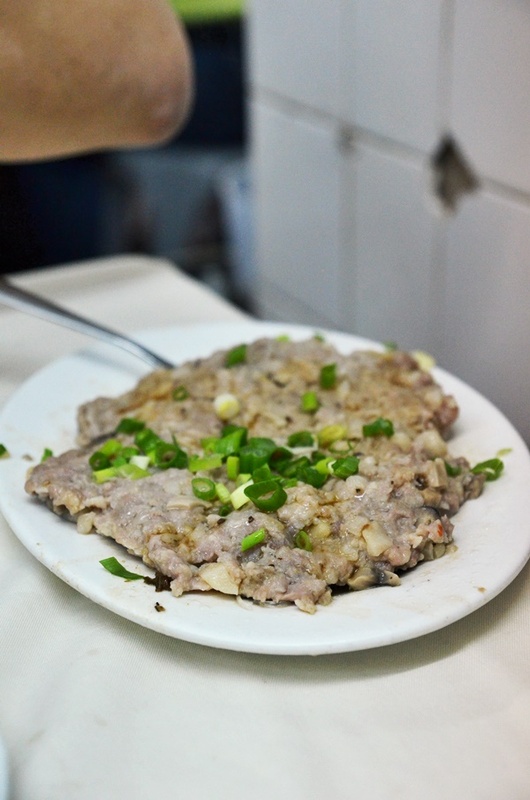 Nothing beats the heart-warming bite of a soft, succulent piece of steamed pork patty mixed in with briny slices of dried cuttlefish, chopped mushrooms and water chestnut. This screams for a bowl of steamed white rice. The greens are not bad either; the claypot Chinese cabbage with homemade fish paste and tiny slivers of dried Mandarin peel and sliced ginger in soup was sumptuous; the vegetables tasted fresh and sweet, while the spinach in superior stock with century egg and soft tofu cubes reminded me a lot of the Malaysian siong tong yuen choy, a similarly-fashioned dish. Best of all, the meals here always end with a bowl of dessert; either tau fu fah (soft beancurd pudding) in brown sugar syrup or a warm concoction of blended pumpkin puree with thin slices of dried coconut. Unlike some other Hong Kong restaurants where courtesy is almost a luxury, the staff at Your Restaurant are actually well-mannered (just don’t expect service level of a five-star diner, please), and more than willing to strike up a conversation with the customers, or recommend you their signature dishes. Your Restaurant, G/F, 3, Tai Wong Street East, Wanchai, Hong Kong. Directions: Exit from Wanchai MTR A3 exit, then walk towards the west along Johnston Road, and you will reach Tai Wong Street East. The restaurant is at the end of the street, but there is only a white signboard written in Chinese characters printed in green; named “Gam Yuen Siu Goon”. Opens for lunch and dinner. Off-days not fixed, but written on the wall on the ground floor.